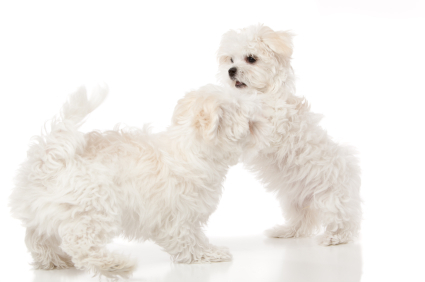 When most people think about “puppy socialization,” they generally envision a group of puppies playing joyfully with one another. While this is an important aspect of socialization, it’s not the complete picture. 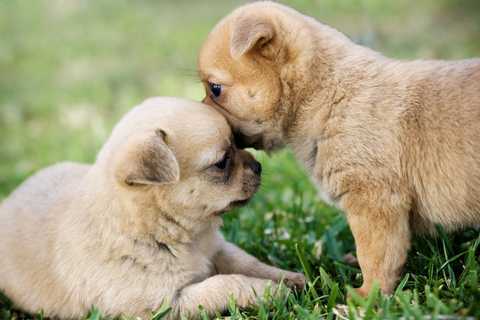 Between the ages of three and 14 weeks, puppies are the most open to new experiences such as different types of people, new environments, buildings, sights, noises, smells, animals, and other dogs. These are all the things that a pet dog will encounter and needs to be comfortable with in human society; thus, this is all part of being “socialized.” The more things a puppy is introduced to within this age period, the more calm and confident he will be in a variety of circumstances. 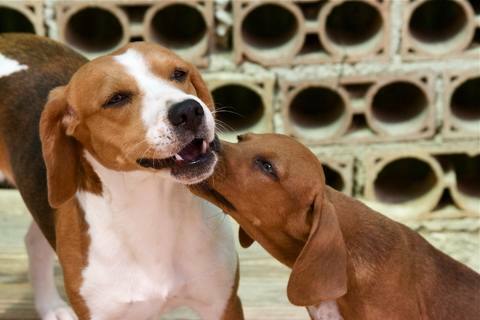 After this period, puppies naturally become more wary of things they have not yet encountered. Importantly, the “Fear-Impact Period” also occurs during this very same critical socialization time. If puppies have “bad” or scary experiences during this time, the impressions are likely to last a lifetime and may resurface during maturity. So, while you need to get your puppy “out there” and experience life, you still need to introduce him to new things in a controlled, calm, positive manner. This is one of the most important reasons why only POSITIVE training with NO PUNISHMENT should be done with puppies. And, if your puppy seems nervous or afraid of ANYTHING, for any reason, whether it’s dangerous or not, you should step in and calmly remove him from the situation. If this should happen, it’s important to re-introduce your puppy to the scary situation much more gradually, and to make a big effort to do something your puppy loves during the situation or immediately afterward. Training and socialization go hand and hand. When a puppy has learned basic obedience using positive reinforcement, it’s something you can always turn to during times of insecurity or anxiety. Doing something your puppy does well and can be successful at like “sit,” “down” or “touch” will distract them from whatever triggered the fear and will give your puppy renewed confidence to try again. I know from first-hand experience the importance of puppy socialization and training. When I was 12 years old, I was given the daunting task of training and socializing a puppy through my 4H club to become a Leader Dog for The Blind®. While it was important that my puppy learn basic obedience, the consistent socialization was the most crucial aspect of this process. We went everywhere together. We hiked in the woods and walked busy city streets. My puppy went in the car as well as my dad’s single engine airplane. We attended large family gatherings and shopped at the local department stores. We went up and down long open stairways and pedestrian over passes over busy streets. And, I guess I must have done a few things right because my “Ben” was accepted by Leader Dog for The Blind® and eventually became a Leader Dog. While I’ve been training dogs for a long time now, this is still one of my proudest accomplishments. So get out there and start socializing your puppy! Take your puppy with you to your favorite pet store, out in the woods, walking along busy city streets, and to your neighborhood children’s play ground. Let him meet your friends and your friend’s friends. And most importantly, find a good puppy class that includes basic obedience along with supervised puppy play! Dawn is an Animal Behavior College Certified Dog Trainer, an experienced Nose Work Instructor, an AKC Canine Good Citizen evaluator, and the owner of Arrow Dog Training. In addition to presenting Doggie Do Good clicker classes, Dawn also offers Nose Work classes, TDI® (Therapy Dog International) classes and in-home private training. Dawn’s group classes are taught at AnnaBelle’s on Tuesday and Wednesday evenings. Click here to see her complete class schedule!